FORMULA ONE: When lights go out at the Circuit Paul Ricard in Le Castellet this Sunday (June 24), Formula One will be embarking on more than just the first French Grand Prix in a decade – it will begin a marathon three grands prix in three weekends. Such an ambitious undertaking of races is unheard of in modern Formula One – the effort required to move across nations and continents in as little as 48 hours makes joining even two race weekends a logistical miracle – but the sport’s unwillingness to clash with the FIFA World Cup has forced its hand. The World Cup, running from mid-June to mid-July, coincides with what is usually one of the busiest parts of the F1 season as the sport flits between neighbouring European destinations, but the scheduling of the World Cup Final on July 15 presented the sport with a major headache given a clash would likely leave any grand prix substantially worse off. But with teams keen to preserve the three-week August break for the record-equalling 21-race season and with six of the nine races after the break already paired on back-to-back weekends, the F1 felt it had little choice but to lay down a taxing gauntlet of three consecutive races in France, Austria and Britain and hope for the best. “It was an emergency measure,” F1 motorsport boss Ross Brawn told German television after the calendar was handed down last year. “The World Cup presented us with a very unusual problem … and it would have been very unfair to have run the race on that weekend. Brawn is wary of the schedule for good reason, with the ever-lengthening calendar trying team personnel past breaking point. With race weekends generally demanding attendance from Wednesday to Sunday and with the addition of pre-season and in-season testing staff can easily spend more than half the year away from home. The ratio of races outside of Europe is particularly straining. This season 57% of the 21 grands prix will take place off the sport’s home continent, up from 44% 10 years ago and 31% in 1998. How the teams handle the three consecutive races, plus the back-to-back German and Hungarian grands prix, making five races in six weekends, will likely affect how aggressively Formula One pursues its aim to expand the calendar, though the under-consideration 2019 schedule already includes a new Miami Grand Prix, subject to a final deal being struck with the American city. But taxing or not, the upcoming three races will undoubtedly have an effect on the finely balanced drivers and constructors standings, in which Sebastian Vettel leads Lewis Hamilton by one point and Mercedes leads Ferrari by 17. The Circuit Paul Ricard is a fast and sweeping track that will favour engine performance and aerodynamic efficiency, and though Ferrari has proven over the first third of the season that its power unit is now a match for Mercedes, the German marque will be bringing a new engine to France after delaying an upgrade in Canada. Moreover, Mercedes’s long wheelbase car is at home on the French circuit’s long bends, which will engender hope in the team that it can win its first race in more than a month. 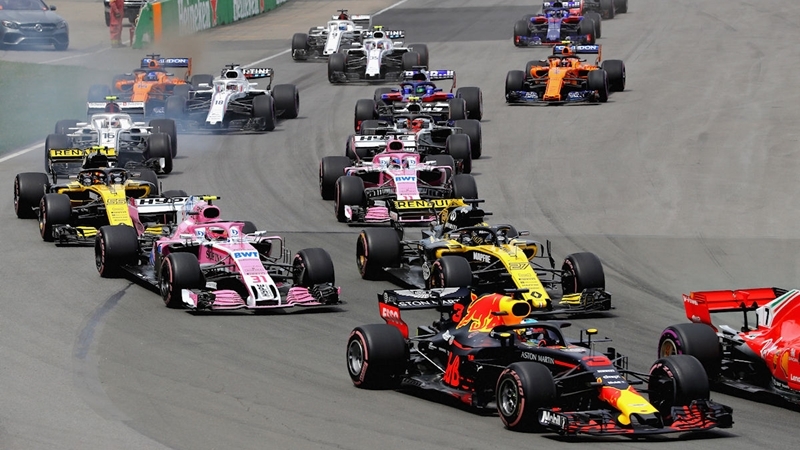 But with Formula One cars last having tackled the full Circuit Paul Ricard in 1985, the French Grand Prix will be a step into the unknown for all teams, with the fastest thinkers amongst the frontrunners best placed to reap maximum points.